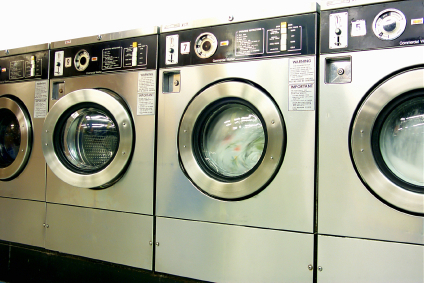 Are you using coin operated laundry machines in your rental properties? If so, it is a good idea to review your laundry room lease contract from time to time. The lease is structured so that you, the property owner, are the lessor and the laundry service company (LSC) is the lessee; ie, you will be leasing space in your building (the laundry room) for the LSC to place their machines. This is an extremely competitive industry, and if you are well-informed you can negotiate very favorable terms for yourself. At the very least, make a note to yourself of the expiration date of the lease, as I have seen some lease proposals that last 7 years. Furthermore, many contracts include an automatic term renewal clause which could have you kicking yourself after you hear the next thing I have to say. Historically, LSCs like Coinmach and Web split laundry income 50/50 with owners. That’s not the way it is nowadays. There are signing bonuses, 60/40 income splits in favor of the owner, laundry room improvements and machine upgrades to be had for the asking. Some of the machine upgrades can pay for themselves with so called “going green” rebates from third parties like the DWP. That is the case if you decide to go with high-efficiency machines (HE machines). Some of these rebates have gone as high as several hundred dollars per washing machine for the water they expect to save over the lifetime of the machine. So pay attention and don’t miss out on this simple opportunity to improve your bottom line. At the very least you will increase your laundry income; or you may even get a laundry room remodel out of it. And while you are at it, cross out that clause regarding the automatic renewal of your laundry room lease contract. Welcome to the Landlord Report, the go-to site for residential property managers, landlords, and real estate investors. Here, you can get information and updates on rental property management, capital improvements, landlord/tenant relations, and investment property mortgage data. Well-informed landlords and investors have better tenant retention, control their property management cost, and increase their bottom-line.